Click the button below to add the Advantage Extra Wide 22.5 in. Custom Church Chair [PCHT-225] to your wish list. Handsome and durable Church Chairs featuring long-wearing, commercial-grade custom fabric, powder coated frames, and 4-inch padded seats for exceptional church seating comfort. These padded, interlocking church chairs are available with an assortment of customer fabric and frame choices all while serving your congregation's church seating needs for many years to come! The seats of these church chairs are a full, extra wide 22.5 inches, and the seats and backs are fastened to the church chair frames using T-NUT fasteners - which provide much improved stability over wood screws. Please call us at 866-404-7671 to discuss your best frame, fabric & freight options. Each church chair comes with ganging hardware pre-installed, allowing you to quickly set up neat, even, rows of interlocking church chairs. Book racks with communion cup holders and card pockets are available as options. 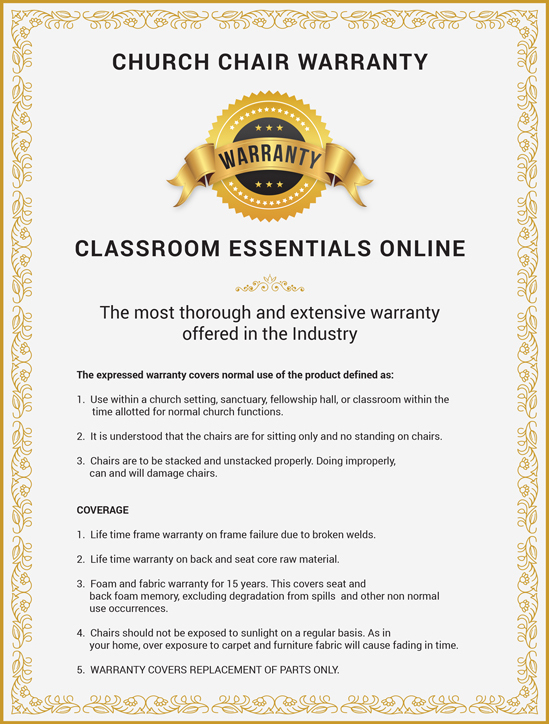 A tremendous benefit of these particular church chairs is that they will ship to you FULLY ASSEMBLED, saving you and your staff the time and frustration of assembling each chair. 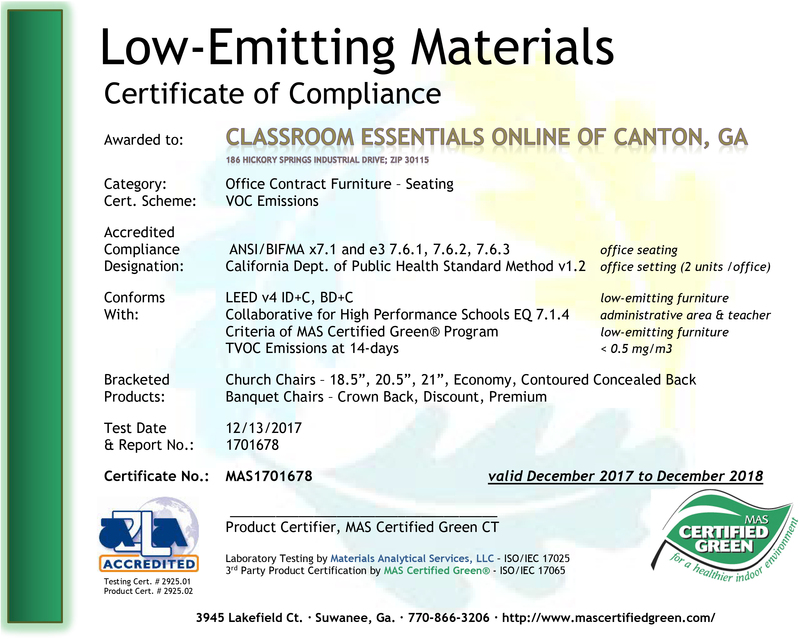 Many comparably-priced church chairs require assembly by the customer, which creates a challenge in achieving even church chair back heights. Call our helpful, knowledgeable staff at 866-404-7671 - they'll be glad to help with all of your church chair questions.